Are you interested in Construction and Building Projects mainly in the Private Sector? Leads 2 Business - A Leads Solution that you can scale to your business needs. We have an specific team dedicated to researching private sector tenders and construction projects. By providing information that focuses on private construction contracts in South Africa & Africa, our service is one of the fastest ways to identify new opportunities in the project development lifecycle, as well as which companies and people to target. Everyday we research new tender & procurement opportunities. So we see it as our job to help you do yours! We have a full range of South African tenders conveniently categorised by industry, province and CIDB grading. Customise your profile and find the perfect leads relevant to your business. One source providing you with all the online tender information you need to make the right decisions to grow your business. Contract and Tender Award information is highly sought after. Clients all want to know who was awarded the projects or tender! Our research team aims to obtain the following key information: the name of Contractor / Professional who was awarded the contract, the estimated value of the contract, and the date the contract was awarded. Is your company looking to expand its reach and scope of works into Africa? Our areas of coverage include: Zimbabwe, Malawi, Angola, Ghana, Nigeria, Tanzania, Uganda, Zambia, Namibia, Botswana, Mozambique, Lesotho, Madagascar. Tenders are sourced throughout Africa through our extensive network of newspapers, online resources and personal contacts. 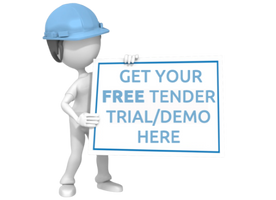 Leads 2 Quotes (L2Q) is a price enquiry system used by estimators to distribute electronic bills of quantities to Subcontractors, Manufacturers and Suppliers. With such short lead times on tenders in South Africa, this online pricing environment has become essential to keeping ahead. Do Contractors know about your Company? Get listed on our Construction Directory and receive Requests for Quotes from the Industries most well known players. Respond to quotes by pricing online, to help address that all important short lead time. Get Tender & Project Opportunities in your inbox daily! Use our leads to save resources, increase productivity & keep your pipeline filled with solid opportunites.